Spectacular Panoramic Bay & City Views! Designed for the owners by David Fleet. This 4205 Sq. Ft. floor plan is well positioned on a flat 10,000 Sq. Ft. Corner Lot in a quiet neighborhood surrounded by Lg beautiful homes. 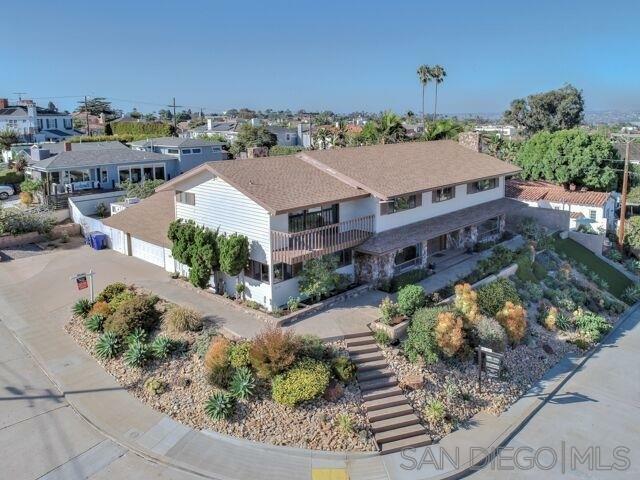 An inviting 4 BR + Optional 5th BR and 4 BA overlooking Downtown & Harbor Views or the expansive backyard & Lg swimming pool. All rooms are generously proportioned & have dramatic Views! Over-size 2 Car garage + adjacent pad to park your RV or boat. Lots of storage space throughout!, New carpet & paint throughout. Custom built in 1973 by the current/original owners. Lovingly maintained over the years. The over-sized garage has abundant storage and a workshop. Scheduled for participation in the "Quieter Home" program featuring New Doors, Dual Pane Windows, Insulation, etc. The flat usable backyard has tremendous potential.